Введите Ваше имя! Введите Вашу Фамилию! Вы ввели некорректный номер телефона! Вы ввели некорректный E-mail! Вы ввели меньше 6 символов! бонус на первый депозит до 30 000 ₽. Agreement for the provision of investment services, activities and ancillary services to a retail client. The Company is providing the Services listed in this Agreement by means of online electronic system (hereinafter referred to as the “Trading Platform”). The provision of the Services by the Company to the Client is in the sole and absolute discretion of the Company. Company provides the Client with access to the site www.binarium.com (hereinafter — the Website) and the opportunity to use services offered on the Website in strict compliance with the terms and conditions of this agreement (hereinafter — the Agreement). Governing law. The laws and regulations of Saint Vincent and the Grenadines and all the subsequent amendments to them are governing this Agreement and the provisions of the Services by the Company. The transactions under this Agreement via the Trading Platform on behalf of the Client shall be subject to the laws of applicable jurisdiction of the Company, which govern the establishment and operation, the regulations, arrangements, directives, decisions, circulars and practices (jointly referred to as "the Laws and Regulations"). Language. The official working language of the Company and correspondence is English. For the purposes of provision of the Services or Client complaints or due diligence proceedings, the Company may and reserves the right to provide all or some company documents in languages different than English. Due to the fact that the Company does not guarantee the absolute accuracy and correctness of the translated documents, any non-officially certified translations of the said documents provided to the Client are not raising any legal liability for the Company. Commencement of the Agreement. By registering at the Website and opening a Trading Account where the funds are to be deposited to, the Client is accepting this Agreement, and is considered to have read, understood and expressly accepted the terms and conditions contained in the Agreement and any other documents found on the Website and considered to form an integral part of this Agreement, as well as modifications and amendments thereto. This Agreement is binding on the both sides once a Client has registered on the Website, and both parties are entering into valid contractual liabilities and are obliged to fulfill them. The Client is considered to have registered and opened a Trading Account when he/she have placed a payment on the account and upon the Company`s approval of the account, the Parties are considered to have unconditionally accepted the terms and conditions of this Agreement and expressly agreed for it to become legally binding. This Agreement may be reviewed by the Company and modified if needed, can be examined by the Clients or public or any other third party. Signature / Modification of the Agreement. The Company warns that in some or all cases it will not notify the Client personally via email about the changes made in this Agreement, therefore it is the responsibility of the client to check the Website from time to time to make sure he/she complies with the current version of the Agreement. Client also approves that he/she has provided a working communication means (e-mail) to the Company for the information and communication purposes. Otherwise, the Company is not responsible for the failure of the Client to receive the said communications from the Company. The Agreement does not have to be printed and signed by both parties, however, in case Client wishes to do so, he/she can send this Agreement signed from his/her part in a hard copy in two copies to the postal address of the Company, and the Company will return one countersigned copy back to the address of the Client. Complaints. In case the Client has the Complaints related to this Agreement or towards the Company, it shall address them in writing to the email support@binarium.com. The Complaints shall be replied to within 5 (five) business days from the day of the receipt and the Company guarantees to address each complaint and to take due care in resolving any issue arisen in accordance with this Agreement. Agreement — means the present Agreement including any Annexes and/or Appendices attached herein as this may, from time to time, be amended or replaced. Ask — means the higher price in a quote. The price the Client may buy at. Bid — means the lower price in a quote. The price the Client may sell at. Client — means a natural or legal person, accepted by the Company as its Client to whom Services will be provided by the Company under this Agreement. Durable Medium — means any instrument, which enables the Client to store information addressed personally to the Client, in a way accessible for future reference and for a period of time adequate for the purposes of the information and which allows the unchanged reproduction of the information stored. Exchange — means any country`s Regulated Market. Execution — means the execution of Client order(s) by the Company as per the terms of the present agreement. Financial instruments — means the Financial Instruments that are available on the Company’s Trading Platform. KYC documents — means the documents of the Client that include the passport or ID and utility bill of the Client, and any additional document that may be required by the applicable law on AML. Market — means the market on which the Financial Instruments are subject to and/or traded on, whether this market is organized / regulated or not. Operating (Trading) Time — means the period of time within a calendar week, where the trading terminal or platform of the Company provides the opportunity of trading operations. Parties — means the two parties to the Agreement i.e. the Company and the Client. Prices — means the prices at which the Company and its broker / matched trader are prepared to deal with the Client. Services — means the services provided or should be provided by the Company, acting as a broker, to the Client Trading Platform. Spread — means the difference between the purchase price Ask (rate) and the sale price Bid (rate) at the same moment. Transaction — means any type of transaction effected in the Client’s Trading account(s). Trading account — means unique personified register (account) of all the transactions/ operations on the trading platform of the Company. 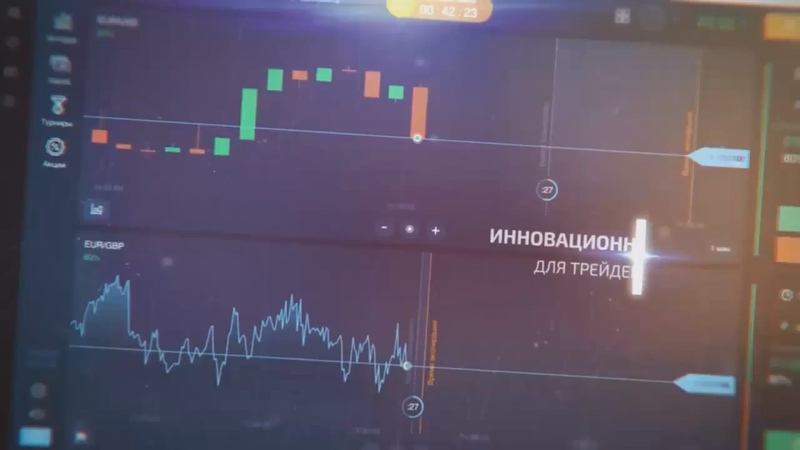 Trading platform — means all programs and technology that present quotes in real-time, allow the placement/modification/deletion of orders and calculate all mutual obligations of the Client and the Company. FATCA — means a United States federal law full name of which is The Foreign Account Tax Compliance Act. US Reportable Person — for the purposes of this Agreement means, a US Reportable person in accordance with FATCA provisions. Headings of the paragraphs of this Agreement shall be used solely for ease of reference and shall not affect the contents and interpretation of the Agreement. Any term used hereinafter in this Agreement and not otherwise interpreted, shall have the meaning attributed thereto in the International Law. Reference hereinafter to any law, regulation, agreement (including without limitation, this Agreement) or to any other document, shall be deemed to be a valid reference to them as these may from time to time be amended, expanded or replaced and to all agreements and documents, which are declared to be supplementary to them or are attached thereto. The Services of the Company are defined as the facilitation of execution of the transactions according to the Client requests, subject to the Clients compliance with the terms of this Agreement. The Company expressly states that it does not advise Client on transactions and is not managing the Trading Account of the Client, but merely is providing service on the execution-only basis, even in case the requested transaction is not of a benefit for the Client. Moreover, the Company undertakes no liability and has no obligation to monitor the transactions and their statuses, to make margin calls or to close any of the open Client`s positions on Client`s behalf. Safekeeping and administration of the Financial Instruments for the Client’s Trading Account, including custodianship and related services such as cash/collateral management. Execution of the orders on behalf of the Client. Foreign exchange services where these are connected to the provision of the Investment Services. the maximum risk for the Client related to the services of protected CFD on this Website shall in no way exceed the total sum invested by the Client. the risk of loss in relation to the corresponding potential benefits is reasonably understandable in light of the particular nature of the proposed financial contract. Under no circumstances the risk of loss shall exceed the sum invested by the Client. Not being a citizen or resident of the following jurisdictions: Ukraine, Australia, Canada, Belgium, Israel, Palestine, Japan, Sudan, Syria, Iran, North Korea or European Economic Area. One account per Client rule. Each Client has the right to register only one Trading Account, and in case any Client has multiple Trading Accounts, the Company needs to be informed about the situation before carrying out any transactions. If for any reason, the Company is not informed of any multiple Trading Accounts and discovers this to be the case, the Client will be contacted in order to choose which account they wish to keep. All other accounts will be blocked and Client's funds will be refunded back to the Client. Any loss of funds or future profits incurred as a result of the actions of the Company in the given situation will not be refunded to the Client. Once the Client has registered a Trading Account, the Client is entitled to apply and to be granted the access codes for Company’s online/ electronic systems and/ or Trading platform, in order to be able to place and manage orders for the purchase or sale of the Financial Instruments via connecting to the internet through a compatible device. Therefore, the Client shall be liable for any misappropriation of his account caused by the failure of safekeeping the Access code for the account and for all orders given through his Trading Account. The Client shall immediately notify the Company in case the Client has any reason to suspect any confidentiality disruptions, misuse of his/her account, erroneous order confirmation, becoming a US Reportable Person or changing the residence to the jurisdictions mention in this Agreement as prohibited, or any other significant personal information changes. The Client expressly agrees and acknowledges that he/she shall be exclusively responsible for any undertaken transaction or investment strategy, and the Company does not have any responsibility whatsoever over the said actions undertaken by the Client, irrespective of any circumstances. For the purpose of registering a Trading Account with the Company, the Client is required to provide the Company with the identification data and has to verify their email address and telephone number, without the above the Company will not grant the Client with the access to the Trading Platform. The level of the information requested by the Company will depend on the various circumstances and level of participation of the Client, also, when funding the account for the first time the Client will be obliged to provide further KYC information to the Company, such as economic profile and copy of passport and proof of address to verify the identity. Without complying with the conditions above, the Client will be unable to proceed to the completing their account verification and starting to use the services. In the case the Client is registering a Credit or Debit Cards, the Company will request a scan copy of the front and back of the card. The Client should ensure to only leave available the first 6 and last 4 digits of the card number. All other digits and the CCV Code on the back should be covered for the Client’s protection. The Client is expressly prohibited from using any identification document and/or credit or debit card of the third parties and is only allowed to use Client`s own identification documents and/or credit or debit cards. It is understood by the Parties that the Company, under applicable regulations, is not required to accept a person as a Client until all documentation required by the Company have been received, properly and fully completed by the person and all internal checks have been satisfied. The Company reserves the right to use the Client’s information in order to follow anti-money laundering regulation procedures applicable to Company and the Client authorizes the Company to use such information to perform internal checks and world-checks and to submit the personal data to the relevant governmental authorities upon the lawful request either by the Court of by the law enforcement authorities. The Client expressly agrees that the Company has a right to record all telephone conversations between the Client and the Company’s employees or representatives and use such recordings as valid legal evidence towards any dispute arisen either in court or in negotiations. Client Personal Data. Company collects and stores the Client data as stated by the Client in the questionnaire and provided to the Company, and which is used in Client`s Trading Account. The Client data will be kept by the Company for at least 5 (five) years after the termination of this Agreement and are in all cases to be used and stored in accordance with the relevant International regulations on the Data Protection. The Personal Data shall only be disclosed in case of need of Company to comply with the requirements of relevant regulatory authorities or to professional third-parties bound by the same confidentiality provisions. In accordance with the policies of the Company and the governing regulation, part of the information requested from Clients is used to evaluate the Client’s appropriateness to the services and financial instruments offered by the Company and hence to proceed with deciding whether the Client has appropriate experience and knowledge to use the Services, upon which the Client will be notified by the Company. The Company categorizes any Client as eligible Counterparty, Professional Client or Retail Client so that the level of information, services and protection that the Company is providing to the Client is appropriate to and consistent with a Client categorization. The Client is entitled to request the Company in writing to be categorized as a Professional Client (provided the relevant criteria and procedure are fulfilled), but in such case the Client is entitled to fewer regulatory protections under the law. The Client guarantees and accepts its responsibility to verify that all transactions and Service(s) received by him are not contradictory to any applicable law in the Client`s jurisdiction and to use the Services at the Client’s sole option, discretion and risk. The Client holds sole liability for all transactions in his Trading Account, including all cards transactions or other means of deposit and withdrawal transactions (as stated below). the Client acts as principal and not as an authorized representative / attorney or trustee of any third party. The Client confirms that he has reached the age of maturity in the country of his/her residency. The Client confirms that he/she is not the US Reportable Person or citizen or resident of Ukraine, Australia, Canada, Belgium, Israel, Palestine, Japan, Sudan, the Syrian Arab Republic, the Islamic Republic of Iran, the Democratic People's Republic of Korea and European Economic Area. Client’s trading account / Balance. The Client is obliged to keep the balance on the Bank Account in a sufficient manner and in such a way that the funds available are enough for execution of the purchase orders and financial obligations` fulfillment towards the Company or any related third party. In case there are not enough funds on the bank account of the Client, the Company has a right to decline the purchase order or any transaction proposed, or to request immediate compensation of the difference in price to the Company who executed the order. The Company has the right to block the Client`s account on the basis of a default in case the Client has not compensated the said difference to the Company timely. The Company also has a right to refuse the delivery of the Financial Instruments purchased by Client through the Trading Platform in case the financial obligations of the Client towards the Company are not fulfilled. The Financial Instruments are held by the Company on behalf of the Client in lien. The Client agrees that in case the Company carries out a transaction on his behalf which is not covered by the balance of his Trading account, the Company shall have the right to liquidate his assets and use the proceeds to cover part or the total difference. The Client shall indemnify and keep indemnified the Company and its directors, officers, employees or representatives against all direct or indirect liabilities (including without limitation all losses, damages, claims, costs or expenses), incurred by the Company or any other third party in respect to any act or omission by the Client in the performance of his obligations under this Agreement and/or the liquidation of any Financial Instruments of the Client in settlement of any claims with the Company, unless such liabilities result from gross negligence, willful default or fraud by the Company. This indemnity shall survive termination of this Agreement. The Company shall not be liable for any loss, expense, cost or liability incurred by the Client in relation to this Agreement, unless such loss, expense, cost or liability is resulted from gross negligence, willful default or fraud by the Company. The Company shall have no liability to the Client whether in Agreement, tort (including negligence), breach of statutory duty, or otherwise, for any loss of profit, or for any indirect or consequential loss arising under or in connection with the Agreement. The Company shall not be liable for any loss which is the result of misrepresentation of facts, error in judgment or any act done or which the Company has omitted to do, whenever caused, unless such act or omission resulted from gross negligence, willful default or fraud by the Company. The Client expressly authorizes the Company to rely and act in accordance with any order, which appears to have been placed by the Client on the Trading Platform. The Client is entitled to use such Cancellation of order option as is available on the Platform subject to the conditions specified on the platform. Such conditions can also include the fee charged by the Company. Such fee is specified on the platform or upon the request, alongside all necessary information as to the conditions of Cancellation, their cost, etc. The Client expressly agrees that the information on the platform is sufficient. The Client acknowledges and agrees that he bears all the risks associated with the use of Cancellation. Orders can be transmitted for execution, only within the operating (trading) time. The Client’s order shall be valid and in accordance with the type and time of the given order, as specified. No orders of the Client can be revoked or amended, once the Client has placed them, unless the Company allows so in its sole discretion as per above. The acceptance of the order by the Company happens once the Company has transmitted the order for the execution, and not when the order has been merely received by the Company. The Client acknowledges and agrees that the Company has the right to close/ cancel any transaction, at its sole and absolute discretion without providing prior notice to the Client if the underlying asset or contract on which the transaction is based settles on an expiry date as determined by the relevant financial market, in which the said asset is traded (such time referred to as 'Closing Time' and the relevant expiring transaction referred to as an 'Expiring Transaction'). If the Client remains inactive for a period of 90 concurrent days ('Inactive Account'), his account will be charged with an annual maintenance fee of €50.00 on the unused credit balance. It should be made clear that any maintenance fees shall not exceed the total balance of such Inactive Account. If the Client is reasonably suspected in being involved / operating / planning to conduct any fraud in relation to the use of the market conditions and the particular features of the market in question, which is aimed at gaining personal profit by fraudulent and dishonest means. Any such refusal by the Company shall not invalidate or affect any obligation, which the Client may have towards the Company. The Financial Instruments purchased by the Client or by the Company instructed by Client shall be registered in the name of the Client and the Client shall hold the ownership to them. The Client’s purchased via Trading Platform Financial Instruments shall be deposited for safekeeping with a third party/custodian in the name of the Client and/or in the name of the Company on behalf of the Client subject to the terms of this Agreement. Such Financial Instruments may not be separately identifiable from the proprietary Financial Instruments of the third party / custodian due to their nature, due to which in cases of insolvency of the third party the Client may not be fully protected. The Company shall act with diligence and care during the appointment and monitoring of the third party / custodian for the holding and safeguarding of Financial Instruments. The Company shall not be liable for any loss suffered by the Client due to any act, omission or the insolvency of the third party / custodian, unless such loss is the result of gross negligence or fraud by the Company in the appointment or monitoring of the third party / custodian. The Client hereby authorizes the Company to execute deposits and/or withdrawals from the Bank account on his behalf held with the Trading Platform including, without prejudice to the generality of the above, withdrawals for settlement of all transactions undertaken by the Client in accordance to this Agreement and all amounts payable by or on behalf of the Client to the Company or to any other third party connected to the Company in terms of this Agreement. Client’s funds which will be used for the provision of Service(s) shall be held with the Company in the name of the Client in special client denominated accounts (further – Bank account) with reliable financial institutions worldwide. These funds will be in all cases segregated from the Company’s own funds and will not be used by the Company for any other purpose. Company will not be held liable for the insolvency, act or omissions of any bank or other third party holding Client’s funds under this Agreement. It is noted, that the funds of the Client may be kept in the account of the financial institutions outside the county of jurisdiction of the Company which may affect the proceedings of insolvency in relation to these accounts of financial institutions, the effect being the unsecured claim against the financial institution. If the Client wishes to withdraw the free funds from his/her Trading Account, the processing might take up to 3 (three) business days after receiving from the Client a withdrawal request instruction. The amount to be withdrawn is being deducted and reduces the balance of the Client's Trading Account on the day the withdrawal request is processed. The Company is entitled to decline a withdrawal request if the request is not in accordance with this Agreement or to delay the processing of the request if not satisfied with full documentation of the Client. The bank transfer fees are payable by the Client. The Company is not responsible for the mistakes occurred in the payment details and unintended payments made by the Client. In case the Client is funding the Trading Account and the Company has suspicion about the identity of the payer and is not satisfied with the payment instructions or payment method, it has the right to remit the payment back to the payer. Company is not responsible for the Bank Account provider`s refusal or remittance of the Client funds, which may result in the negative balance in the Client`s Trading Account. No accounts of the Company are used for the safekeeping of Client money. Safeguarding. For the purposes of safeguarding Client money, according to regulation, the Company agrees to keep the Client money segregated from its own money and money of other clients; not to use Clients money for any purposes other than under this agreement; to keep proper record of the corresponding transfers of the Client to establish the accurate balance of the Clients account; will take due care of the Clients money and monitor the Payment Service Providers policies and actions, reputation and risks from time to time. Whereby the Company holds Financial Instruments and/or funds on behalf of the Client, it is obliged to send the Client a statement of Client`s Account upon request of the Client or at least one time per year, which statement should show the order execution data, financial data, transactions and the relevant periodic data pertaining to the account of the Client. The Company shall send such a statement to the Client not later than in 14 (fourteen) business days after receipt of the request for a statement from the Client. The Client may request from the Company to send him information about the status of his/her order and has a right to raise objections to it within 3 (three) days from placing it. Failure to do so deprives the Client of the right to dispute the said transaction/order. The Client also expressly agrees that he accepts that Company may receive the erroneous or delayed statements/notices from the third parties in question, which shall not make the Company liable for any loss or inconvenience incurred by the Client. The Company shall also send the order execution confirmations when executing an order on behalf of the Client. The said confirmation shall include the relevant essential data about the execution and shall be sent to the Client at the same day when the Company receives the said confirmation from any other third party in question. Beta Versions: The Company may test certain functions and websites using a Beta Version which is available to Clients. Clients should note that the Company is not liable for any financial losses or disruptions to services the Client may face as a result of using Beta Versions. All Beta Versions will be identified as such and the Client accepts all risks. This Agreement shall take effect upon its acceptance by the Client by opening Trading Account and the depositing of funds. This agreement shall be valid for an indefinite time period for the duration of the Trading Account of the Client or if terminated otherwise. By signing this Agreement, the Client expressly agrees to have read and understood all the risks exposed by using the Services of the Company; to have agreed to fulfil its duties with due care under this Agreement; to indemnify the Company of the responsibilities in the cases which are stipulated under this Agreement; to have acquainted himself with the information on the Trading Platform. This Agreement may be amended unilaterally by the sole discretion of the Company to reflect any change in the legislation and/or decisions and/or EU Directives and/or regulations of the Market and/or other appropriate authorities in the Saint Vincent and the Grenadines or abroad that affect this Agreement as well as to reflect the policies of the Company and Services descriptions up to date. In any such case, the Company is not obliged to notify the Client of the said amendment personally via email, but shall post the new version of the Agreement on the Website. Due to the fact that the Company is not obliged to keep the old versions of the Agreement on the Website, it is advised to the Client to print or download the versions periodically and always check the Website for the updated version to ensure the compliance with the current version. In case the Client does not agree with the amendments made in Agreement and/or Website and/or related documentation/information the Client shall be entitled to terminate the Agreement by giving the 15 (fifteen) day written notice to the Company. In cases of the termination of this Agreement not for a reason of Client abusing/ misleading/ being guilty of non-fulfilling the financial obligations under this Agreement, the Company shall offer the Client to withdraw the remaining balance. In the cases when the Client has been found guilty of the said offences against the Company, the Client loses the right to withdraw the remaining balance, and the Trading Account shall be blocked and deactivated. By entering into this Agreement, the Parties agree to keep all the information gained under this Agreement confidential and not to disclose to any third party. Confidential information includes without limitation all the written or oral communication, notices, confirmations, documentation or other information exchanged between them, both during the term of the Agreement as well as after its termination. The Company shall not be responsible or liable to the Client for any loss suffered by the Client due to failure, hindrance or delay in performing of Company`s obligations under this agreement where such failure, hindrance or delay arises directly or indirectly from circumstances beyond its reasonable control. Such force majeure events shall include without limitation any technical difficulties such as telecommunications failures or disruptions, declared or imminent war, rebellion, civil unrest, natural disasters, statutory provisions, measures taken by authorities, strikes, lock–outs, boycotts, blockades or discontinuance or suspension of the operation of any Market. The Client acknowledges that no representations or warranties were made to him by or on behalf of the Company, which have in any way incited or persuaded him to enter into this Agreement and that the Client enters into this Agreement voluntarily and understand all risks arising out of accepting the Services. This Agreement and all the modified versions thereof published on the Website, as well as any other documents on the Website are an entire agreement between the parties and substitute all the other communications and agreements between the parties. In case any provision of the Agreement becomes, at any time, illegal, void or unenforceable in any respect, in accordance with any applicable law and/or regulation of any jurisdiction, the legality, validity or enforceability of the remaining provisions of the Agreement shall not be affected. In case of negligence, tolerance or leniency on the part of any Party with respect to its rights under this Agreement, such leniency shall not in any case be considered a silent or other waiver or abandonment of such rights, unless otherwise provided in this Agreement. The Client confirms and accepts that the Company has a right to impose restrictions and limitations on the Trading Account if required to by law, including without limitation, for the purpose of fulfilling the requirements of a court order, tax authority, regulatory authorities and any other official authority requirement, which might include risk of Company being required to return or block money existing in the Client's Trading Account. Should the aforementioned occur, the Client will have no right, claim or demand from the Company in respect of losses caused to his account as a result of any such action and undertakes to indemnify the Company for any damage caused by the Company's aforesaid action. The Client has received and/or has had the opportunity to receive a copy of the Agreement prior to the date of its signing and that he/she has had the opportunity to get advice from a lawyer and/or professional advisor of his choice, and the Client has carefully read and has fully comprehended the entire contents of this Agreement with which he absolutely and unreservedly agrees and the Client accepts that he/she shall be fully bound by its terms and conditions. BINARIUM LIMITED St. Vincent and the Grenadines, Suite 305, Griffin Corporate Centre, P.O. Box1510, Beachmont, Kingstown, St. Vincent and the Grenadines. 1599 СTD 2018.